Habit reaction patterns define how we relate in the world. They do so without our attention to them. 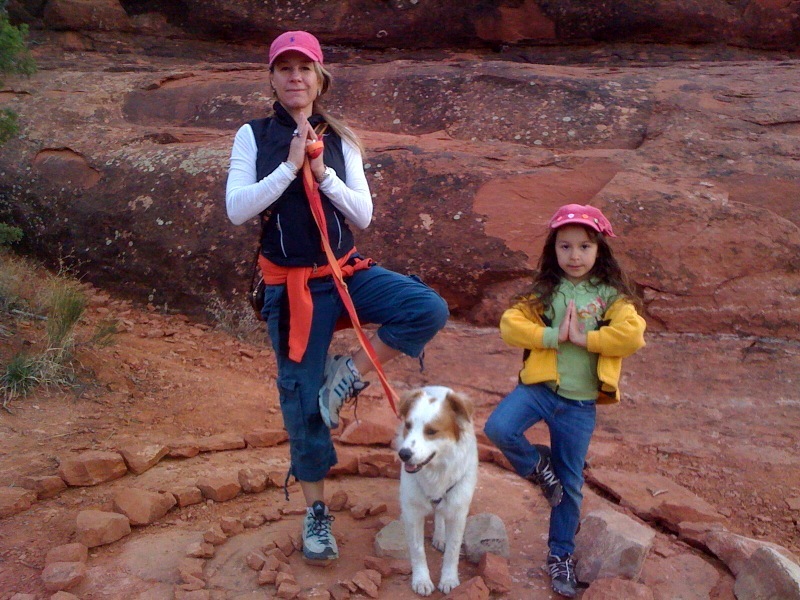 They pull us into ways of behaving like a rut pulls us around a circle. The groove, furrow, or automatic routine of it takes us out into the behavior Habit like any reaction in an automatic, non-present-moment-thinking-way (unconscious). This is not intuition. This is the opposite of mindfulness behavior, which requires a present moment centeredness where information is experienced and processed in a thorough centered and multi-dimensional fashion. Survivor scenarios are habit reaction patterns. They are ways of being in the world where a trigger acts like the groove that pulls a person into a set of interpretations and actions (reactions) to survive. This mechanism built into our style of being in the world is highly efficient in a dangerous environment; having the ability to automatically react in a split second fashion could save your life. However, when these are applied to everyday choices in relationships and interactions that are perceived by way of the trigger as dangerous but are indeed not life-threatening, they form a set of behaviors that actually serve to negatively affect the individual engaging in them. Survivor scenarios actually take on a number of forms depending on the function that set up the original scenario, the how mechanism to survive or what style developed to survive. Protector, survivor, victim, persecutor are all forms of survivor scenarios. They share the need for the other to define the self. In order for an individual to define herself as a survivor she must continually create (by way of interpretation and attribution of specific intent) situations she must survive. Thereby actually keeping herself caught in the web of the scenario. This is true for each form of the scenarios. In order to get out of the rut, groove, automatic routine, or habit reaction one has to invoke two things, a sense of present moment empowerment and mindfulness. This is an attitude of a Thriver. Thriving is doing more than surviving. Surviving is good, as the alternative is not surviving, which is bad. Thriving is even better – it is developing and focusing your life, actions, interactions, creations, and living toward your best potential and capabilities. Where surviving is a function of creating the best situation possible out of a negative set of circumstances, thriving is a function of creating what you want. Creating what you want out of all the possibilities in the universe, not just your current circumstances. Being a survivor may be the best thing you ever did, and so it may be difficult for you to let it go. You may feel like it is the thing that sets you apart from your peers. The problem is it sets up an attachment to that style of being in the world, such that situations to which you are drawn will be primarily difficult and challenging, allowing you to continually, automatically, invoke the survivor mechanism to make lemonade out of lemons. Being a thriver increases your actual responsibility to create what you want. In order to do so you have to be willing to risk defining what you want and then creating the avenue to make that happen. It sets you into an active rather than reactive mode. Saying I want to make this happen in my life, rather than I can make this situation work to the best form. Certainly having the skill to make a bad situation work until you can create a better one is laudable and to be maintained as a positive skill; however, it is not proactive unless connected with an attitude of focusing your efforts on creating a life that is thriving and reaching your best potential. Here’s how to decipher if you are in a habit reaction pattern or survivor scenario. Check in with your senses and intuition. If you feel that the experience is familiar or a pattern then you may be participating in a habit reaction scenario. If you feel that you have trouble trusting that things can/will go well for you, then you may have a history of having to survive that is coloring your current day choices/actions. If you have an immediate feeling of anger, like someone has crossed a boundary and your feeling is charged in that the level of emotion (intensity) doesn’t match the situation or boundary crossing, this is a sign that you have been triggered. In this instance, proceed in your actions (re-action) with caution and by caution I am suggesting to invoke mindfulness and centered, present moment attention to the situation, to literally work against the pull of the groove into the habit reaction pattern. This is how you can engage the thriver attitude. Focus is the key. If you are in danger, utilizing your survivor skills to get out of the situation is paramount. If you are not in danger but rather caught in a survivor scenario then focusing your attention on what you want rather than what you fear is the best response. Using mindfulness to re-view the circumstances in relation to your emotion will help you identify whether this is danger or not. In example, if a stranger is doing something that feels dangerous allow your survivor reactions to move at lightning pace. If however, the situation is with a loving partner, or friend – you need to view your emotion within the context of the relationship in present-time and with clarity and genuineness. Here’s how you can develop a thriver attitude. It requires a focus on what you want. It requires a re-view of yourself through a centered, mindful attention to yourself, your skills and limitations, what brings you joy and centers you in your best self. This focus allows the possibility of creating what you want from all the possible choices available to you. This is a difficult concept to grock for a person who has defined herself as a survivor. This paradigm shift allows for a relaxation of the struggle to survive or fight and a gentle movement into the mindful, balanced living of life. Instinctive knowing incorporates spirit, mind, and body awareness and experiences, with attention centered along the space-time continuum, in the present moment; Intuition and sensing, together in balance, centered in time. In studying the Kabbala I have found something congruent with this idea and clarifying the issue of knowledge and instinctive knowing as integrated and guided by spirit at it’s core. The Kabbala (Kabbalah, Qabbalah, Qabala) is a set of esoteric teachings. It is a set of writings and texts that exist outside the traditional Jewish scriptures, but it is attributed to be a part of the Jewish religious tradition. 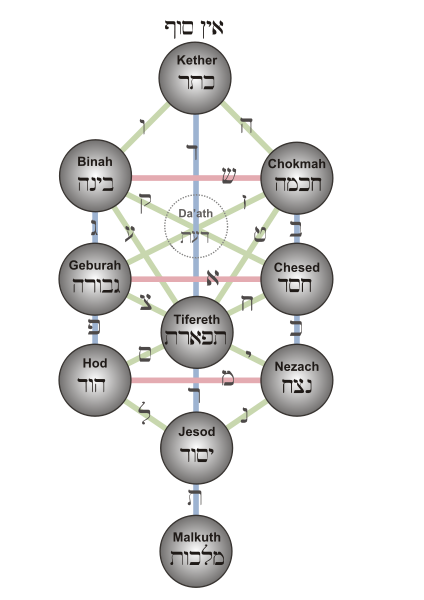 The Kabbala is represented by a set of branches sephirot, drawn as circles connected by lines in a specific order. This symbol is referred to as The Tree of Life. The texts seek to define the nature of the universe and the human being, the nature and purpose of existence, and various other ontological questions. It also presents methods to aid understanding of these concepts and to thereby attain spiritual realization. These ten (11) sephirot can be viewed as a process of ethics. Studying the sephirot will allow the individual to increase BOTH his spiritual consciousness and his spiritually ethical action in the physical plane. It is viewed that Divine creation by means of the Ten Sefirot is an ethical process. The sephirot represent the different aspects of Morality and they hold within them the opportunity for both the virtue as well as the vice attributed to each branch. Balance is the key. Utilizing intuition and sensation knowledge, and centered in time, one can develop a balanced experience and knowledge of these branches. In example, Loving-Kindness is a possible moral justification found in Chesed, and Gevurah is the Moral Justification of Justice and both are mediated by Mercy which is Rachamim. However, these pillars of morality become immoral once they become extremes. Lovingkindness is the Virtue. When Loving-Kindness become extreme it can lead to sexual depravity and lack of Justice to the wicked, the vice. When Justice becomes extreme, it can lead to torture and the murder of innocents and unfair punishment. In the Kabbalistic view, “Righteous” humans (Tzadikim) ascend these ethical qualities of the Ten Sefirot by doing righteous actions. If there were no “Righteous” humans, the blessings of God would become completely hidden, and creation would cease to exist. While real human actions are the Foundation (Yesod) of this universe – kingdom (Malhut), these actions must accompany the conscious intention of compassion. Compassionate actions are often impossible without Faith (Emunah), meaning to trust that Source always supports compassionate actions. Ultimately, it is necessary to show compassion toward oneself too in order to share compassion toward others. When one empowers oneself through this development to assist others, one is following an important aspect of Restriction, and this is considered a kind of Golden Mean in Kabbala, corresponding to the Sefirah of Adornment (Tiferet) and being part of the Middle Column. In the Kabbala there are different branches for understanding, knowledge, awareness, and knowing. These culminate in the explanation of the sefirah of Da’at. Da’at can be viewed as the crystallization of awareness. In the Kabbalistic Tree of Life, when counting the 10 sefirot, Da’at is the tangible form of Keter,and so can be counted with Keter. Keter is the crown, knowledge as an emanation from Source, and Da’at is the experience of man – specifically experienced knowledge – knowledge from the point of view of the human being and his or her accumulated experiences. Chochmah is intuition and Binah is understanding or the ability to grasp concepts, and Da’at is knowledge, the accumulation of experience. In other words there are three ways in which a person knows the function of the mind or of consciousness: 1/through the intuitive grasp of Chochmah, through, 2/ through the analytical powers of Binah, and 3/through the accumulation of ones experiences, known as ones Da’at. Da’at is sometimes drawn with a dotted-line underneath the crown Keter, somewhat in between Chochmah and Binah. Keter, as the emanation of knowing, is the most insubstantial. For our purposes, Chochmah – intuition, Binah – 5 senses, body and mind, and Da’at – the accumulation of experiences – time, offer together an experience of instinctive knowing, balancing spirit, mind, and body. How these are translated into our ethical actions in the physical plane is how we enact our spiritual consciousness balancing spirit, mind, and body knowing and awareness. It can be a product of studying and understanding the various consciousness of the sephirot of the Kabbalistic Tree of Life. However this is not the only Way. Living mindfully is a great resevoir for development of your higher consciousness, your true self and The Way. May you find your Way and be in Joy. This develops the idea that paradigms and paradigm shifting are a product of perceiving and then introspectively knowing. For Kant things as they are in themselves are unknowable. In his view for something to become an object of knowledge, it must be experienced, and experience is structured by our minds – both space and time being the forms of our intuition, or perception, and the unifying, structuring activity of our concepts. These aspects of mind turn things in themselves into the world of experience – so that they can be known. For me, seeing in 4-d is viewing with your five senses plus intuition, and the concept of time as represented by the now, past, and future; 2/ recognizing how interpretations in time affect the future; and 3/ noting how changing those interpretations actually CHANGES reality. For me, intuition provides a blink response, as described by Malcolm Gladwell in this book by the same name. A cue that there is something wrong or right. It allows for us to integrate our observations of our sensing system with our knowledge to guide us. The blink quality may allow for this integration to come to us as a whole (what Fritz Perls defined as a Gestalt) and in an instant. Viewing emotions as experiences but not knowings assists one in determining how to respond to an emotion. A good example is Feeling sorry for oneself it can erode at our being in an insidious way but is not always rooted in a reality. Recognizing that perceptions and experiences can be temporal but not necessarily real or factual can assist one in seeing in 4-D and remaining centered in ones life. If you find yourself feeling defensive, angry or feeling poor me, assess whether the feeling is part of a habit reaction pattern or a trigger OR an accurate assessment of something happening in the present moment. Sometimes these feelings are cues about how what is happening now is akin to something historical that needs to be addressed. When the feeling is nagging and bothersome rather than intense and loud then it may be indicative of a problem if it feels reactive and loud then it may be more of a habit reaction pattern or trigger. This is counterintuitive. You can make a comparison of history event and the now event, to discern which is in play. Mindfulness is a concept of utilizing one’s emotional sensory guidance system, and physical sensing system and the Fullcapacity of our cognitive and problem solving skills to evaluate situations and experiences in order to create and guide our way. This is seeing in 4-D and allows for a unifying and flexible style of relating in the world. Have you ever had to wait for something you really wanted? Okay, everyone has. It’s hard. It takes all your internal energy to remain excited but calm, available but not pushy, energetic but not anxious. It’s especially hard when it is something that you have attached a lot of meaning to – like being asked to marry – you want it SO bad and yet you have to wait, and trust and allow – it’s challenging. Well for children almost anything they want has this energy. Playing Wii or Xbox, watching their favorite TV show, playing their favorite game or getting a special toy, it all feels this intensely attractive and pressing. As parents and teachers we sometimes miss the intensity of our children’ and students’ experiences. Teaching patience requires looking for the positives in waiting. This can be challenging if you go about it in the typical fashion of costs and benefits, especially if you are dealing with a person who doesn’t naturally have a tendency to delay gratification. But if you can be creative and even change your perspective this can shift the energy to identify some beneficial aspects of waiting or delays. Certainly the better we model it, the more likely we will be able to transmit the gift of patience. I think some people’s brains are hard-wired for delayed gratification. They have little trouble with waiting and developing patience. These individuals can hang out, re-focus and set aside, that internal nagging feeling of I Want It NOW. They create a hierarchy of goals. They break up the main issue into smaller more easily attainable goals so that they don’t actually feel like they are waiting – they are just moving along the path. If you are one of these people, you do not have to continue reading, unless you are raising someone who is the opposite of you, then you should continue. The people whose brains are hard-wired for impatience, they just can’t let it go. They are like little ever-ready-bunnies moving in circles of thought – I want it now, unable to still their thoughts and beings. Waiting for this population is excruciating. Even when they make an effort to exert patience they cannot last for very long. Their experience of time is more intense than the individuals who are hard-wired for delayed gratification. Okay so here are some of the tricks for helping these individuals. Don’t offer a reward of something they really want, for good behavior. They’ll be unable to hold it together long enough to get the reward, because they get stuck thinking about the reward rather than the action required to get the reward. They want it so bad they can’t think of anything else, so you will get the opposite of what you are trying to create. These children are better to be rewarded when acting properly rather than offered a carrot. Building structure for your child, and connecting behavior and outcome, increases a person’s ability for patience, waiting, and delayed gratification. The structure identification helps the child center himself in his world so that the intensity of waiting can be neutralized. Set up a simple structure make it into a rhyme or into a song they already know so that it can be recalled effortlessly and quickly. This way they can begin to develop an inner structure that is accessible to them. ie: for an elementary school child, put your name and the date on your paper and read the instructions before you begin – in a tempo that is already in their mind. Say it over and over until it is second nature to think of at the beginning of homework. If your child has difficulty with overstimulation in stores, wanting everything that strikes his fancy, the best way to avoid trouble is to set up what is expected and what consequences will happen if expectations are not met. “I know you can be overstimulated by all the toys and fun things in the store. Today we are not buying any new items for you. If you see something you can point it out to me, or write it down for a future shopping trip when we are purchasing toys.” Or you can say “today we are buying one item for you in the store for this amount of money.” Then you can add the above about how to deal with wanting of several things and how to create a structure about this. Continue with your set up to identify what will happen if your child continues to ask for a toy or more items than you have agreed to purchase – “no toy/item will be purchased if you continue to ask for something or ask for more”. In some cases you may say that you will immediately leave the store if your child cannot control his impulses. Think about this as to whether this more negatively affects you or your child and do not set this up if it interferes with your needs in the store – ie: you are buying necessary groceries. Re-direct your child and remind him of the expectations and consequences when he begins to lose focus. Repeat the plan enough times that it becomes something that he can complete on his own when he is re-directed by you. This will allow him to develop an inner structure, connecting his behavior with the outcome. This results in a sense of empowerment and that has the effect of neutralizing the intensity of wanting and waiting. Additionally if you have set up that he will get a toy/item at a future visit, try to connect that visit to the previous work by for example bringing the paper with the identified items so that he can choose something from it, or from a new visit. If you are setting up a set of consequences use this rhyming or song template. ie: I make a request nice the first time, sternly the second time and I get angry and take away a toy the third time. Say it a number of times without consequence. This gives the child a practice time where no toy is removed but the information is repeated at the second request. After awhile the child knows the third step and can redirect his behavior himself at step two before there is a complete breakdown. This is teaching him how to see the future, connect his behavior with outcomes, and develop a sense of empowerment because he can avert the consequence. Structure and empowerment together are the key. Try these simple strategies to help to create structure and support in waiting. Patience and delay gratification will follow. How you choose to deal with disappointment is a cross-point in life. Whether you can apply mindfulness or get lost in a maze of discouragement effectuates which path you take. The natural pull is toward sadness and despair. Unfortunately, that force can get you caught in a loop of insecurity that pulls you down and diminishes your sense of self, your sense of power, and your courage. Life is full of disappointment. In races there can be only one winner. In contests, again one first choice (unless there’s a tie – but that number is equally as small and finite). So many will receive the experience of disappointment. In order to promote joy and inclusion and a sense of individual strength without getting lost in the competitive nature of me against you, one has to focus on his own strength and limitation and choose goals in alignment with these. I don’t think the answer is to give out ribbons to everyone for participation, this diminishes the accomplishment of the winner and serves to diminish motivation, and perseverance. The answer isn’t to dilute the accomplishment of winning, but to use the disappointment to encourage, shift and grow so that the next time an individual may be sitting in the winner circle, whether the winner circle is in that same event or another. The best, most encouraging response to disappointment is mindfulness. Mindfulness in evaluating the entire situation looking at it within a three-dimensional context. Applying compassionate evaluation of the other players, ones own preparation and readiness, other factors not directly assigned to the event, the expectations, limitations, and strengths brought to fore and then re-setting, re-forming how to proceed toward the goal, even re-forming the goal. Mindfulness may proffer information that the goal was unreasonable, or the timing was incorrect for a win because of what came with it ie: your environment doesn’t support the expectations of the win. Maybe the inner strength, resilience and courage was not sufficient and the disappointment served to strengthen these, by creating an opportunity to re-evaluate and then re-commit to the goal with renewed energy. Often in retrospect one is able to view the disappointment in the center of ones world and see the way in which that disappointment served to strengthen and encourage the individual. Looking at it in the present moment in the center of your life, mindful introspection, can give you the insight or knowing that you can use now rather than get as a result of retrospection. Mindful introspection moves you further along your path. It defines and clarifies the path and your inner self within the context of who you are. Despair in response to disappointment creates a tear in you center and moves you into a loop of depressed thinking that result in circling in a maze without forward movement. It’s like an involution onto oneself and results in depressive thinking and incorrect attachment of meaning and experiences to each other. It creates a stuckness and a stagnation, or worse the involution can result in self-destructive behavior. Shifting disappointment to courage is a mindful act that results in positive, self-affirming growth and behavior. Using mindful meditation is a way of moving out of despair and into encouragement. It happens as a response to your neutrality in viewing the situation. If you have applied for a job and you did not get it, using mindful meditation to look neutrally at the situation may provide you with a knowing, understanding or insight about the job in connection with your self, which might clarify how this disappointment was actually a good response. Perhaps you are better working as an entrepreneur and the loss of the job can propel you into creating the right, perfect job for yourself. This action is transforming the energy of the disappointment into the energy of change and growth forward. If you have trained for a race and someone else won, using mindful meditation to evaluate what you need to do to increase you abilities and capabilities could give you renewed vigor to create exactly what you desire. If you have tried to become pregnant and you have had another miscarriage, again mindful mediation applied toward your sadness and outcome can help you to evaluate what you want, and where your power is, and what you can do about it. In this instance there may be less power in creating the change of getting pregnant, but you may discover that your true desire is to parent and you may find a way to adopt a child that is yours in your true love of him. Viewing each situation with a neutral, compassionate perspective allows the facts and information most important to you to rise to the fore of your vision so that your perspective shifts and clarity is the result. Your goal in life is to be fulfilled and successful and joyous. How to create that comes from a strengthened courageous perspective within you. The characteristics and qualities that defines that path for you is unique. If you have chosen an unattainable goal you will be disappointed. If you apply a mindful eye to the goal and situation then you can be encouraged and renewed. Shifting disappointment to courage allows for us all to get exactly what we want. This attitude is one that allows for all beings to succeed. This is the way to move through competition and find yourself collaborating. This is what moves everyone up and allows for ever-expansion because it is totally individual and group minded at once. Your focus is on being your best and true self and allowing others to do the same – this moves everyone toward their successful selves. Applying mindfulness accepts the differences between us without judgement. So that one who is a strong runner can win without beating out the one who is a weaker runner. Applying mindfulness allows for our limitations and our strengths, and each of us then aligns our goals with those things that enhance our strengths, so that we are in the exact place we need to be to succeed in our goals. Mindfulness with neutrality, perspective, acceptance, understanding, and compassion allows for each individual to choose best for himself. And when he hasn’t, it allows for the fine-tuning and adjustment needed to shift disappointment to courage. The next time you are faced with disappointment apply mindfulness to your circumstance and see if you can shift disappointment to courage. This will strengthen you and it will focus your energies and goals on those attributes, and experiences that best support who you are and your path. The trick is the attitude of gratitude, remembering all that is positive in your life along with the disappointment, this allows for a centering of you within your full space. From there, what matters can inform your goals and your actions and your successes. Courage is a result of feeling strong enough to face the challenge not lack of fear but rather an inner strength in the face of fear and disappointment.